Our newest Remake Journey sheds light on one of the cheapest forms of labor in the fashion industry – children. Globally 170 million children are forced to work in factories. The Remake team travelled 30+ hours to Kathmandu, Nepal to pass the mic back to one of these brave children. Children in factories are often told they are being paid and that the money is being sent home. But the money never arrives. At 10 years old, Nirmila had enough. Shoeless, with only a small piggy bank in her hands, she walked to the front steps of a children’s rehabilitation center. 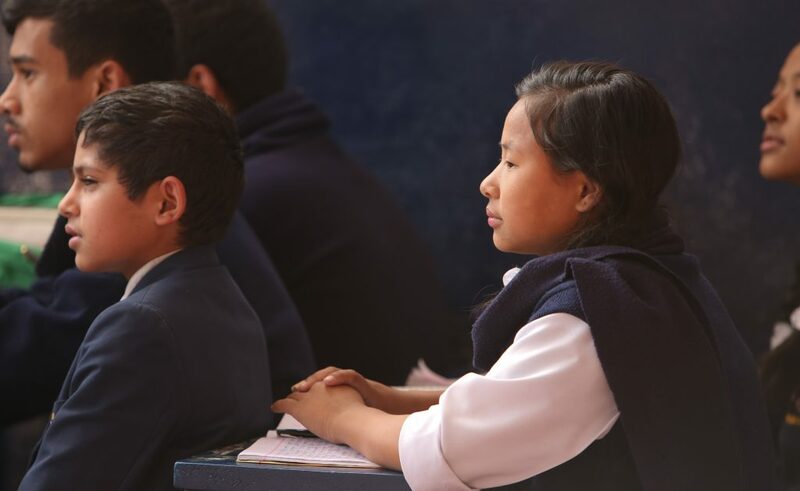 Photo: Nirmala in class. She loves science and volleyball. 2. Buy Better: How we buy is how we vote. To keep children in school or send them to factories. How will you vote? Discover ethical brands that meet our seal of approval here. 3. Donate: help us bring back stories of the human hands that bring our fashion to life. A donation of any size is a way to make the invisible people who make our clothes visible.